Warren Buffett interview reveals the joy of frugal living. Greed is probably man's greatest obsessive sin; what a relief to read in this Warren Buffett interview that there are still some amongst the disgustingly rich who practise frugal living. My company, Berkshire Hathaway, owns 63 companies. I only write one letter each year to the CEOs of these companies, giving them goals for the year. I never hold meetings or call them on a regular basis. Warren Buffett added that he has given his CEOs only two rules. Rule No 1: Do not lose any of your shareholders’ money. Rule No 2: Do not forget rule number one. Warren Buffett interview on how to become a multi billionaire. Sigh, one could only wish that mayors of towns in South Africa, large and small, could see themselves as CEOs. And that they would operate with Buffett's two rules. One can't expect the nouveau riche not to flaunt their newly found riches but we wish they would want to live like Warren Buffett. And not squander their ratepayers' money? Yes, there we can and will hold them to account! Less is more. Bernard Preston has discovered it too; the art of simple living, discovering the joy in the small things of life. Less THINGS, More TIME. Reading this Warren Buffett interview just confirmed what I already knew; that a plethora of possessions is no guarantee of happiness and fulfillment. Warren Buffet declares that he bought a small farm with his own savings as a teenager; he too knows the joy of gardening. 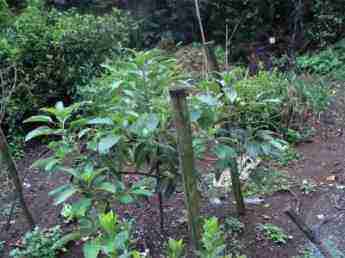 Whether it's planting a tree such as an avocado for example, or simply growing green beans there's more joy to be had in the garden cathedral than when surrounded by electronic gadgets and making billions. What's more it's the fresh vegetables and fruit from your own garden that provide you with the taste of food that is completely denied those who rely on the supermarket for their week old fare which can never be one of the high folate foods, rich in the vitamin that brings us sparkling well-being, or those nutrients that keep frailty syndrome at bay. Doesn't the power of the photograph of Warren Buffett and his elderly wife above tell a story just as vivid as the interview? Whilst I can't boast of 63 companies, I do have ten colonies each of which has 50,000 employees. The queen lives religiously by the Warren Buffett interview rules, a simple, comfortable though not luxurious lifestyle within the hive, and bringing forth abundant honey for the shareholder. He or she in turn cares diligently for the bees that are so essential for our food chain. 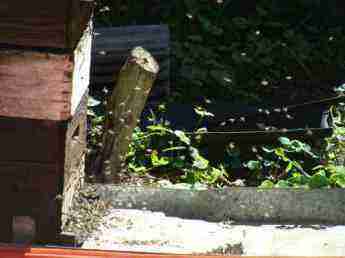 That raises an interesting moral question; should you delve into how to start beekeeping will you be exploiting these little insects? Is it unethical to take their honey in exchange for providing and maintaining a warm, dry home for them? There would be no almonds, for example, were there no beekeepers exploiting their pets ability to pollinate the flowers in California; nor blueberries or macadamia nuts either. Would it also be just as wicked to enjoy these nuts and fruit as the honey? Some have a tender conscience about such matters, and I'm not knocking them. Warren Buffett would agree wholeheartedly that we should care for the environment. 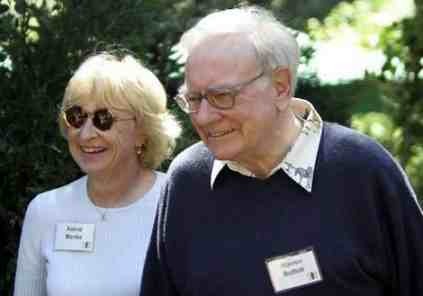 is a subject for anyone looking for more of the simple carefree lifestyle that Warren Buffett promotes. These ten hives produced 700 pounds of honey in 2018; I often wonder why folk are so reluctant to keep bees; it's been a wonderful hobby of 60 years that has produced a return that multiplied by 63 would have made me into a millionaire several times over; not in Warren Buffett's league though. More important than the honey is the pollination service they provide, for free. Did you find this page useful? Then perhaps forward the WARREN BUFFETT interview to a fellow bookworm.